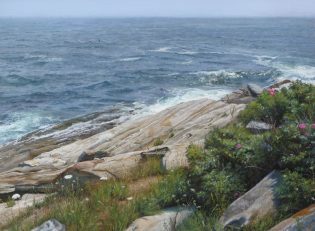 Cindy House has developed a unique way of using pastels to capture the beauty of the natural world. Using PowerPoint, she will show, step by step, her work as it moves from idea in field to finished pastel in the studio. She will explain many of the techniques she uses with this fascinating medium.